Refined design with classical craftsmanship. Custom work. Signature pieces in small batches. Woodstock, New York. 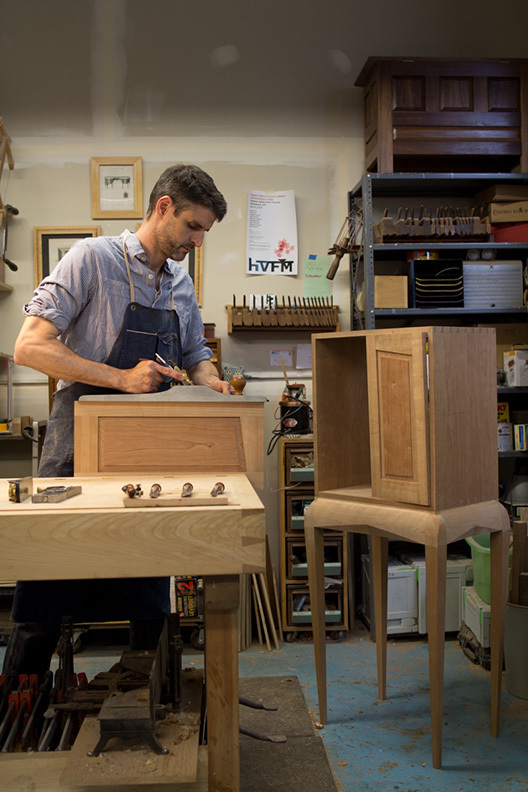 Mike Leggett combines classical training with a critical eye for design to make extraordinary furniture. His aesthetic was honed during his years in New York City working with major museums and auction houses before moving to Boston to study at the North Bennett Street School. His work is characteristically clean and crisp, with elegant lines. He hand selects premium hardwood, carefully considers the grain and joins the pieces together with precision and grace, under the tightest of tolerances. Leggett proudly stands among past and current makers who uphold the venerable craft of building furniture that is always in style and built to last.